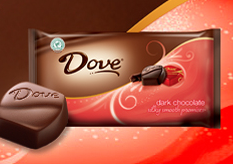 Print your coupon and you’re one Rite Aid visit away from Dove Chocolate Bars for just 25 cents each. Thank you Savings Is Free for the details. We didn’t need much of anything from the supermarket this week. The only thing I really wanted to grab while on sale was the new product by Silk – Fruit & Protein beverage. I enjoy trying new “healthy” products, especially when I have awesome coupons. *NOTE: Total Value and Total Saved per receipt are quite wrong, because they don’t take in to account the clearance items. They rung up so that they don’t show as sale items with a “you saved” amount listed. So I recalculated using the regular prices for the clearance items to more accurately reflect the Total Value and Total Saved. Vitalicious sandwiches reg. $4.49 ea. Hershey’s reg. $5.99 ea. Easter eggs reg. $1 ea. The upcoming Publix weekly ad contents along with coupon match-ups is available for viewing at I Heart Publix. The sale prices might vary from what you find in your local Publix stores because they are from the Atlanta metro Publix weekly ad. Here are some of my favorites for stockpiles in the pantry and freezer. I know that fresh-cut flowers would not be a stockpiling item, but they are a lovely treat at this price. PUBLIX: Super Low Price $1.20 for Red Baron’s Large Pizzas – Hurry. Pay $2.39 for TWO Red Baron’s Pizzas. Yum. Ate this for dinner yesterday and it was so large that two of us shared it. We added a couple of breadsticks from our freezer. These salads can be found in the cooler at the Deli Department and are NOT the pre-packaged small salad bowls found in the produce section these days. They are med fresh in the back of Deli and put out on display. =$4.78 TOTAL for 2 meals. Cobb and Chef Salads are on sale this week (per weekly ad) at Publix stores for $5.19 (SE Florida). Take $2.00 off with Publix coupon from SmartSource insert of 4/1/12 when you buy one of the salads and a large fountain drink. It was ALL on sale. No Register Rewards used. No Register Rewards received. This new product in it’s shiny hot pink-purple box is on shelves in Walgreen’s now. However, I found them with the wrong price on an end cap at the back of the store at $5.49 each. The are advertised in the weekly flyer for $3.99 and will print out a $1 Register Reward from the Catalina machine at check-out. A friend told me that there is a $2 off 1 Tampax Radiant package inside the box (look for note about coupons inside on the front of the box). So when I got to the register, I asked the cashier if it would be okay if I opened the box now and took out the coupon, since I was buying th package either way. She said sure. *Just in case there was a problem opening it prior to paying, I brought along the coupon for $1 off 1 Tampax Radiant from the 3/4/12 P&G insert. $1.99 would still be a good price for this item.